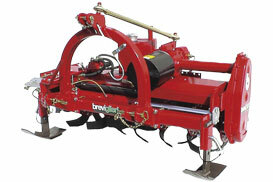 Rotary tillers manufactured by Breviglieri are all PTO-driven and are used to loosen and mix both firm soil, during primary tillage, and tilled soil (e.g. during secondary tillage to prepare the seed bed). 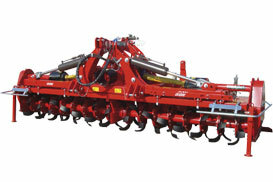 The tilling implements, which can consist of hoe, radial blade or spike assemblies mounted on a horizontal rotor (4 or 6 per flange), work by cutting and ripping clods of soil. 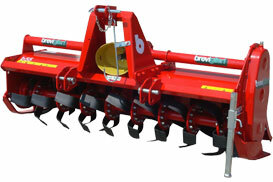 Rotary tiller cultivation can be performed as an alternative to ploughing. It is useful in that it effectively breaks up the earth, even uprooting crop residue, and therefore generally eliminates the need for additional soil preparation. 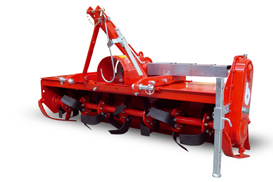 These machines are most widely utilised in the horticulture sector and on naturally loose ground; the working depth is generally not greater than 25 cm.